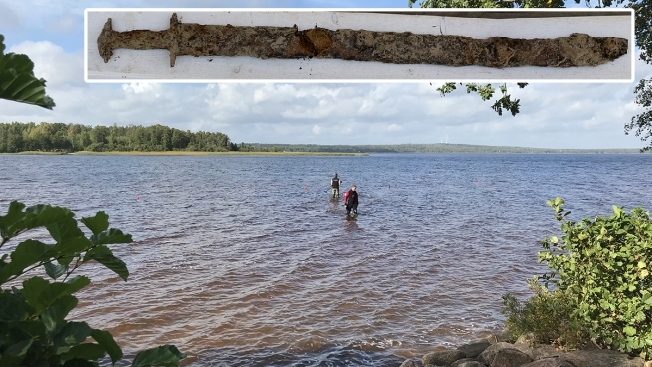 These handout photos show a pre-Viking sword found by an 8-year-old girl in Vidostern lake in the summer of 2018 and archeologists with the Jönköping County Museum scouring the location for more. Her name conjures up Old Nordic tales about heroic accomplishments and that's exactly what Saga this summer did when she stumbled on a pre-Viking-era sword in a southern Sweden lake. Saga told Swedish news outlet The Local that she thought it was a stick at first. "I picked it up and was going to drop it back in the water, but it had a handle, and I saw that it was a little bit pointy at the end and all rusty," she said. Mikael Nordstrom of the local Jonkoping County museum said Friday that the little girl's find prompted others to seek out long-lost treasures in a lake that had been diminished by drought. A broach from between 300 to 400 A.D. was eventually found. 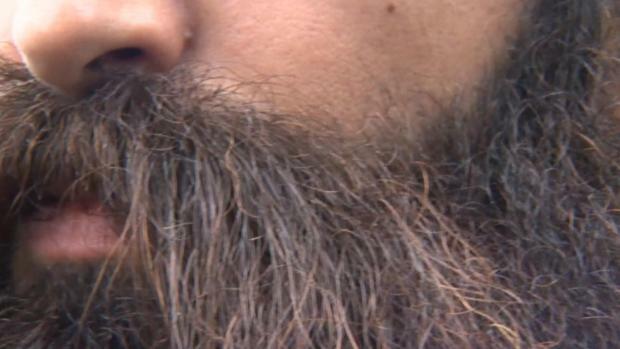 Nordstrom said archaeologists are trying to understand why the items were there. For sacrificial purposes is one suggestion. The family moved to Sweden from Minnesota last year, Saga's father told The Local. "The cool thing is that I'm a huge Minnesota Vikings fan, and this looks just like a Viking sword!" Andy Vanecek said.